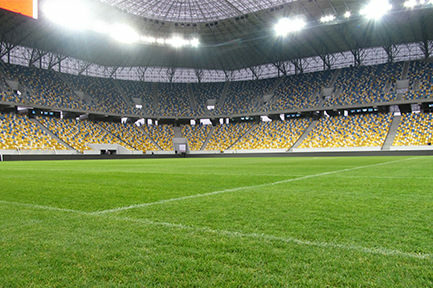 The date of the opening of the Lviv Stadium is October 29, 2011, a year before Euro 2012. 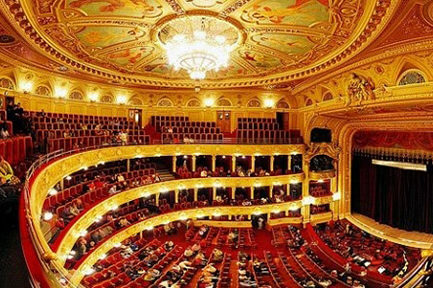 On this day there was a really big event here – a great concert featuring more than 2000 singers! The show program closed a guest from the USA – popular singer Anastasih. And after the end of the grand opening 35,000 people watched a great festive firework! Of course, in the project itself, a lot of money and effort was invested. And that’s how it was. From the very beginning it was decided – if already build, then build a large scale! Therefore, the developers, namely the “Design Bureau of Albert Wimmer” have created a project of a new generation stadium, which would be one of the most modern in all of Europe! Of course, the developer was chosen to be reliable – it was he who was involved in the design of the stadium in Austria, which hosted the Euro in 2008, as well as in Warsaw. 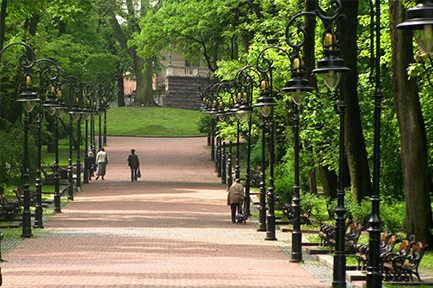 A hand to the construction of the arena was also made by the company from Lviv – “Arnika”. The stadium were built in a good way – due to the correct design of seats for fans, it has come to create an excellent effect of the presence of viewers on the field, and the lack of so-called “dead zones” and the presence of modern lighting provide good visibility and the possibility of high-quality photo and video. The first match was played on November 15, 2011 – Ukraine and Austria played with the victory of the first – 2: 1. Interestingly, the first variant of the name of the Arena was “Lemberg”. 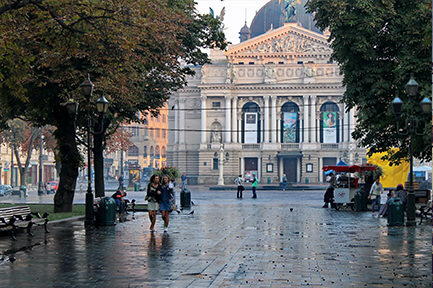 This is what Lviv is called in Germany, but the proposal was rejected, and in December the stadium was called “Arena Lviv”. During its history, the stadium can boast of a multitude of events held here! First, the arena is once again the home stadium of the main football team of Lviv – FC “Karpaty”, which left it for a while. In addition, to date, there are far not only football matches here – there was a concert “Ocean Elsey” with a record number of people at the stadium, regularly held educational events – such as “Economic Forum”, “Ecological Forum”, “IT forum” and other. Here they make regular trips and even register a marriage! Yes, this is true, at the “Arena Lviv” there is one of the 3 fast marriage registration points in the city. Well, there is “roup-jamping” here! Unbelievable, but a fact. 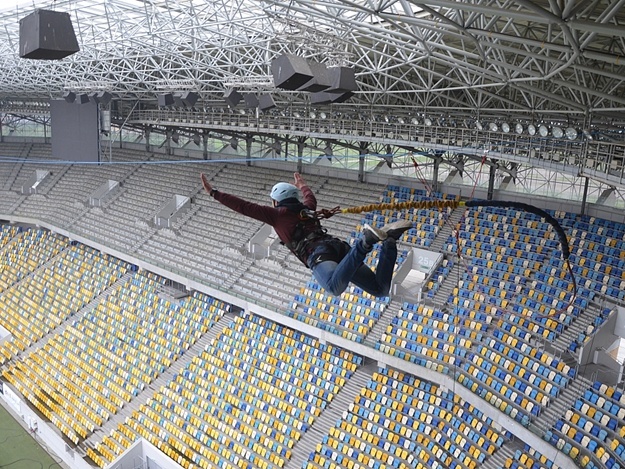 In short, the “Arena Lviv” Stadium today is a great center of various events that bring a lot of pleasure to the people of the country and not only. Of course, when arriving at any event here, you must book your hotel. 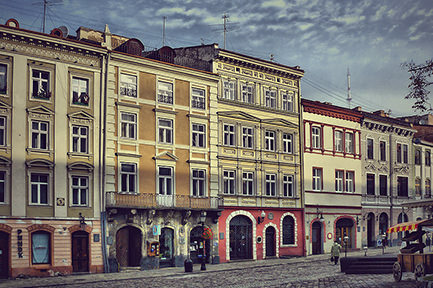 “Arena Lviv” is located on the outskirts of Lviv, so there is not much to rent here. 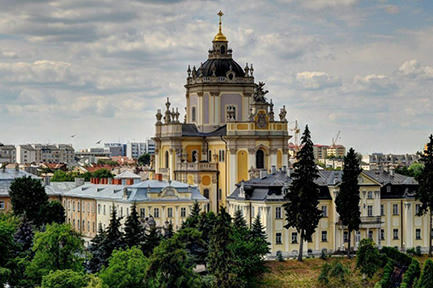 But to come to Lviv for just one match without looking at the city, it’s impossible! That is why the best option is to stay in the city center. Edem Hotel offers a high level of service and spacious rooms. 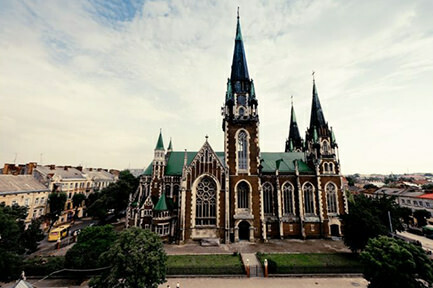 We are located in the very center of Lviv, so it will be convenient for you to get to any point of it! If you are looking for decent accommodation, then our hotel will be the best option. Lviv Stadium is just 30 minutes away!